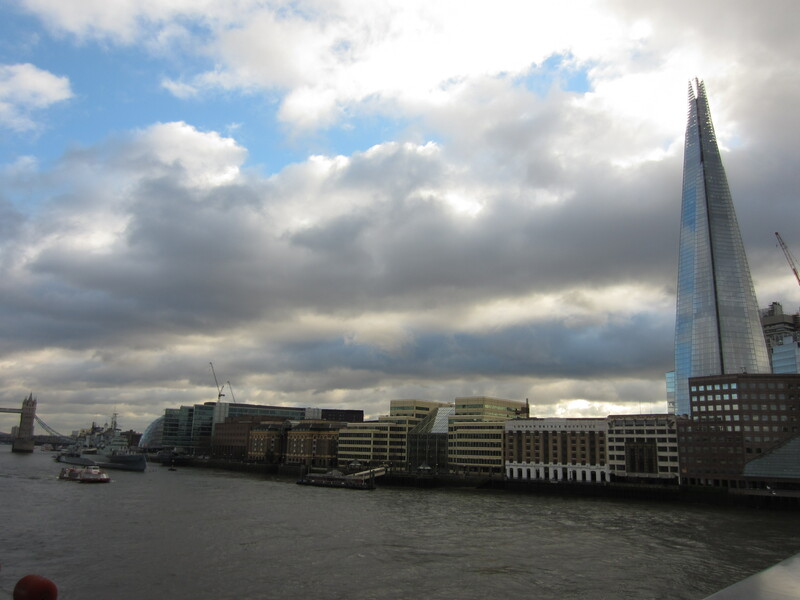 The Shard, London’s newest, shiniest skyscraper and the tallest in the EU at 309 metres was there too. I love these super tall buildings – I’ve always gazed in amazed stupor at the shininess and tallness, with my mouth open and gawking. With a massive navy camouflaged warship stalking the river below it, and a distant helicopter chopping and buzzing around it’s spire, this enormous elongated pyramid of glass looked like an alien spaceship crashed to earth, under investigation by the army. 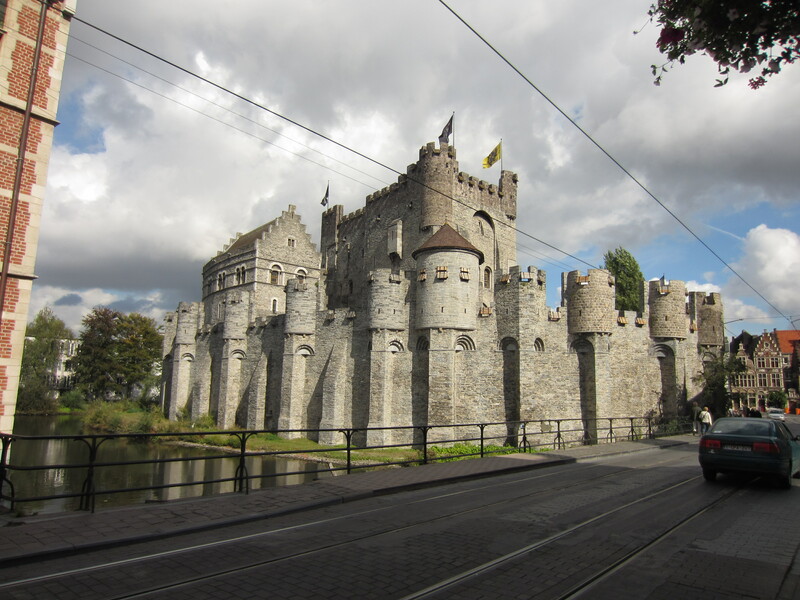 I love cool castles, like the one in Ghent I saw with Jeff. 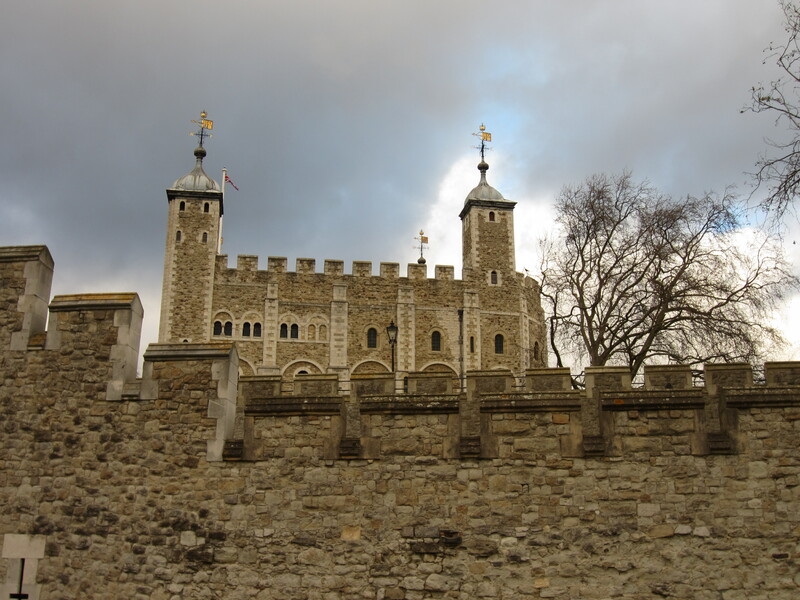 The Tower of London near tower bridge is another great example of a fantastical medieval castle, with it’s high stone walls, keeps and crenellations, gates, moats, flags and dungeons. And yes, let’s face it, probably a dragon pit. The castle has had a long, rich history dating almost a millenium (which I could never fully describe, as it is long and interesting!). William the Conqueror had it built, beginning as a seat of power for early monarchs, and serving as a medieval prison, armory, mint, execution site for prisoners during the world wars, now is home to the crown jewels, and a darling tourist draw. On our last full day we went to Camden lock to check out the market there. A punk with a long red mohawk and Rancid jean jacket sat at a KFC eating chips. Another, dressed entirely in studded leather and pierced skin held an advertising picket, as a passerby told him he would pray for his soul. 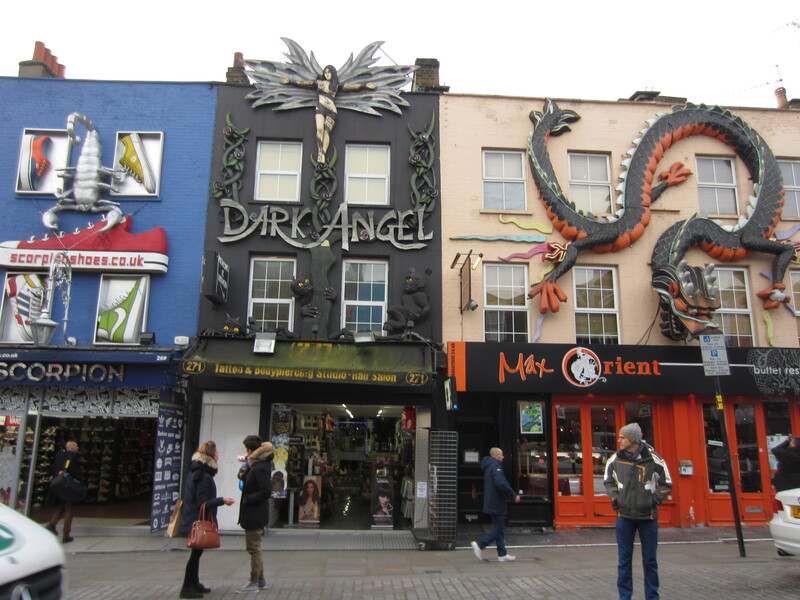 Bohemian rock-n-roll Camden was still half-asleep on the main strip, as shoppers browsed sunglasses and band t-shirts. Huge fiberglass sneakers walked and dragons crawled over the clothes shops and tattoo parlours. The market, Camden Lock, was a labyrinth of stalls selling foods from around the world (anyone for zebra? ), handbags and vintage clothes, t-shirts with retro superheros, African jewellery and gothic platform shoes. The markets run alongside a canal, two centuries ago an important trading lifeline. Derrick poses with a big horse head. Duh. A large portion of the market is located on a former stable site and horse hospital for Pickfords (ye olde logistics company). 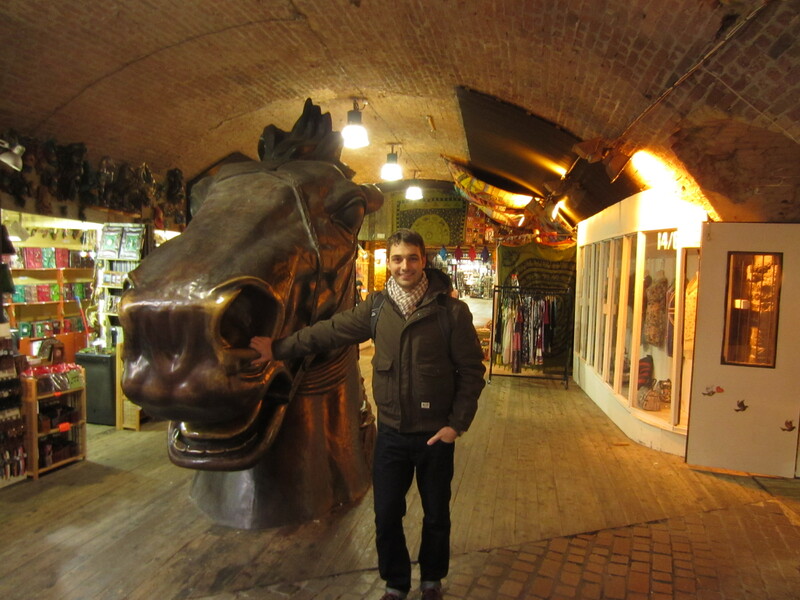 The stalls in this part of the market follow tunnels and archways of brick, complete with many equine statues commerating the past life of the site. The horse heads, life-sized horses and smiths hard at work give this area a cool new dimension, and a flashback to the past. 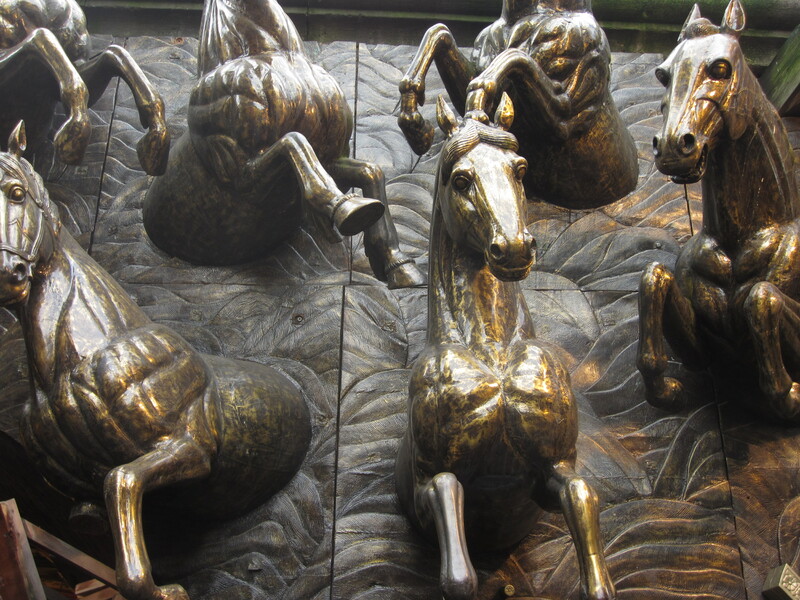 This is also a great chance to eat a Pad Thai whilst being trampled by a runaway stampede of bronze horses. 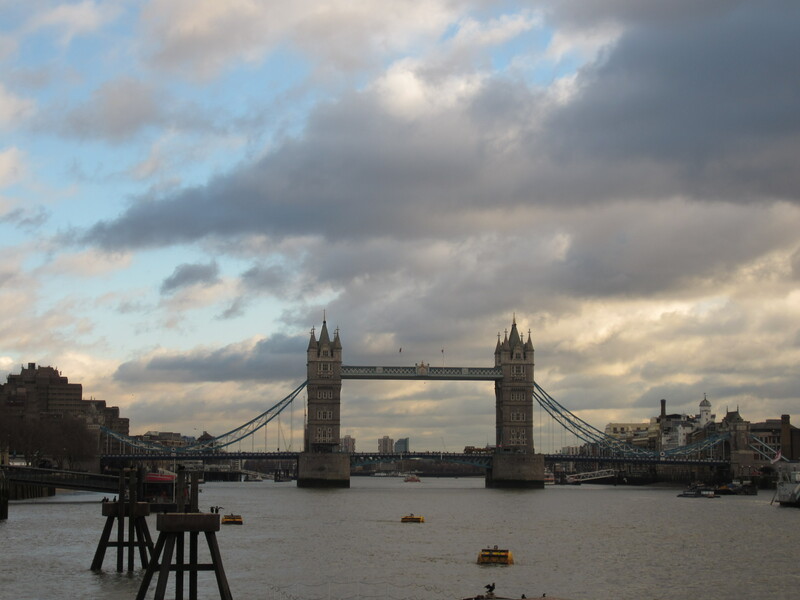 London is one of the greatest cities in the world, with a rich history dating back 2000 years. A perfect place for a traveller to stay, and to explore in thorough depth, to find out what makes London tick. 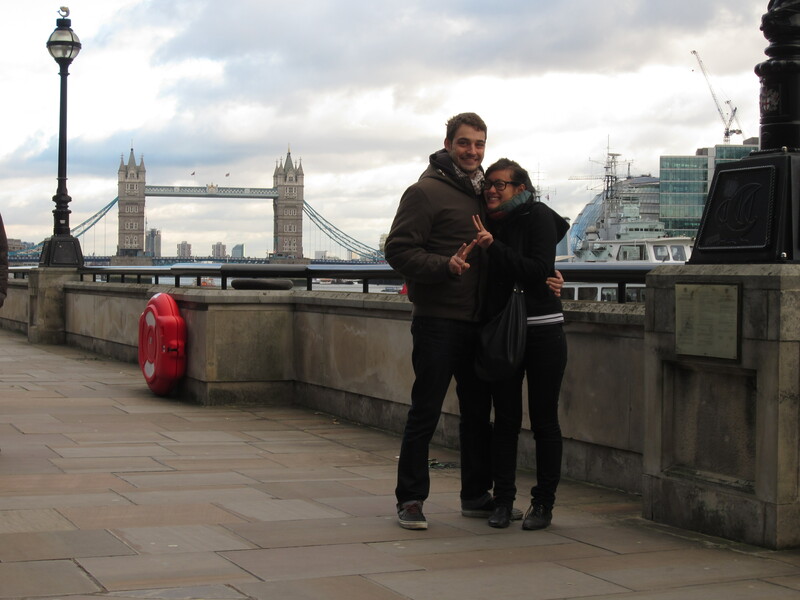 With only six days, our time here was quite short, but fantastic fun nevertheless.